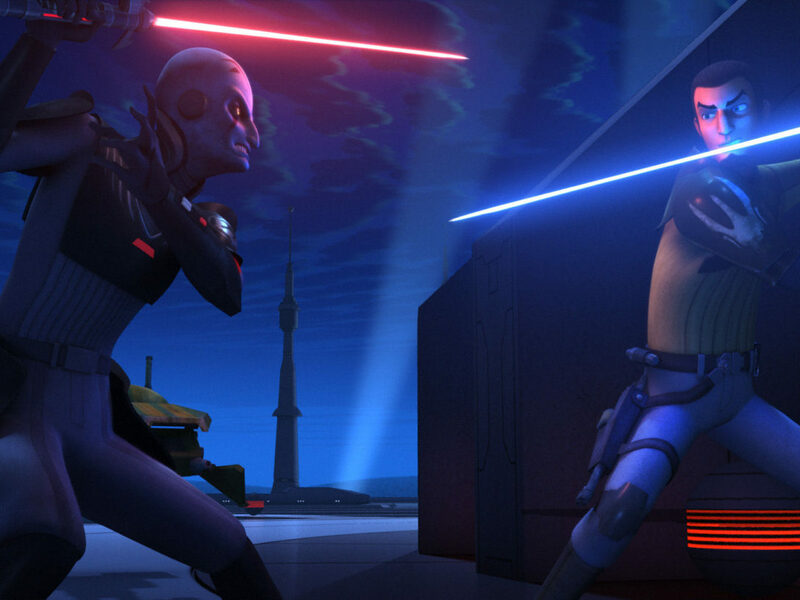 In“The Holocrons of Fate,” Darth Maul returns and we learn exactly why he wanted the Sith holocron — and now, Kanan’s JEdi holocron. 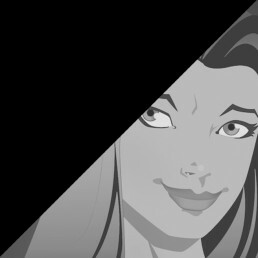 Together, they’re dangerous, but the knowledge they can impart is worth more to him than anything…or anyone. Here are my 10 favorite moments from the episode! 1. Ezra’s not quite over the Sith Holocron. The precioussssss. It calls to him. Ezra himself probably doesn’t realize the need for the holocron but the longing is there, even as he acquiesces to Kanan. He still believes it can help him destroy the Sith. Maul may still think of Ezra as his apprentice, but his generosity doesn’t extend to the rest of the Ghost crew. 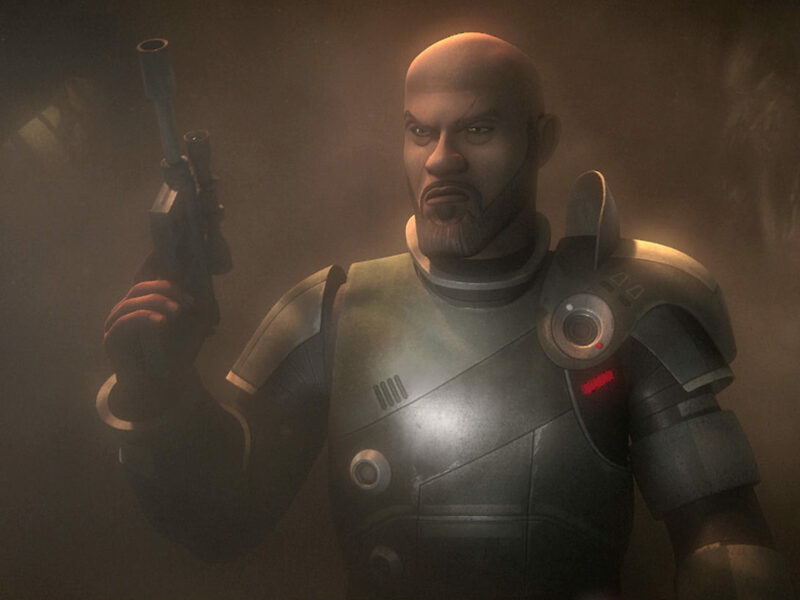 He wants both holocrons and he’s more than willing to use Hera, Sabine, and Zeb as leverage. 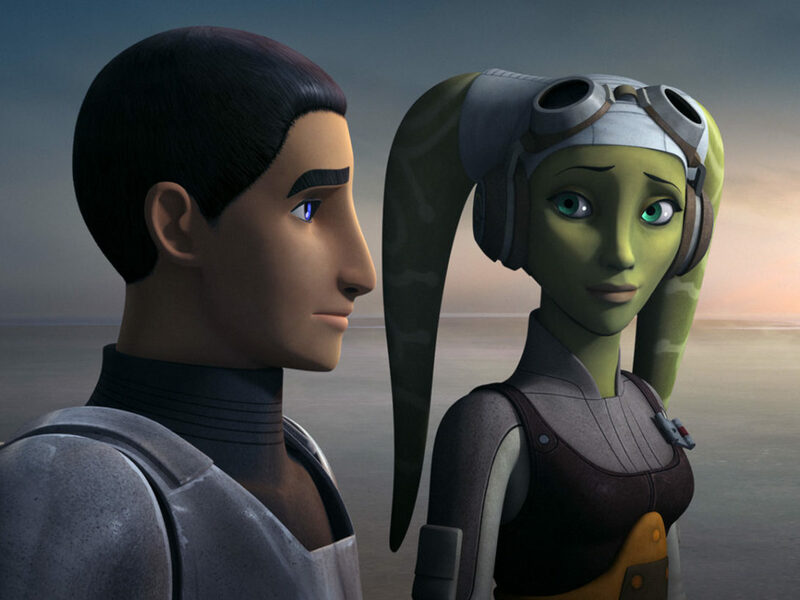 He’s also willing to use Hera to gain information, despite her charitable offer to show him the airlock so he can see himself out. Kanan takes Ezra to meet Bendu and we discover that the ancient being has a sense of humor. He also really likes snapping thumpers in half. 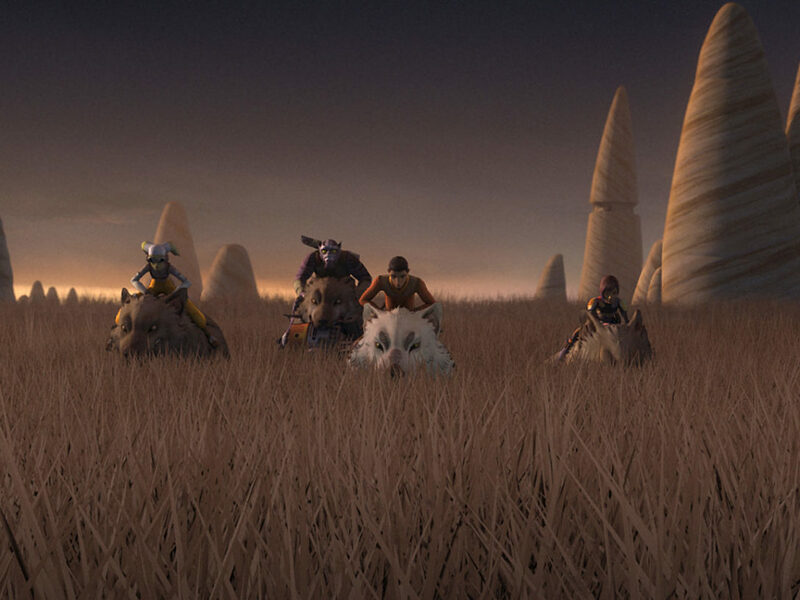 Ezra’s fear peaks when they’re surrounded by spiders, but they dissipate when Bendu arrives. 4. Once a secret is known, it cannot be unknown. 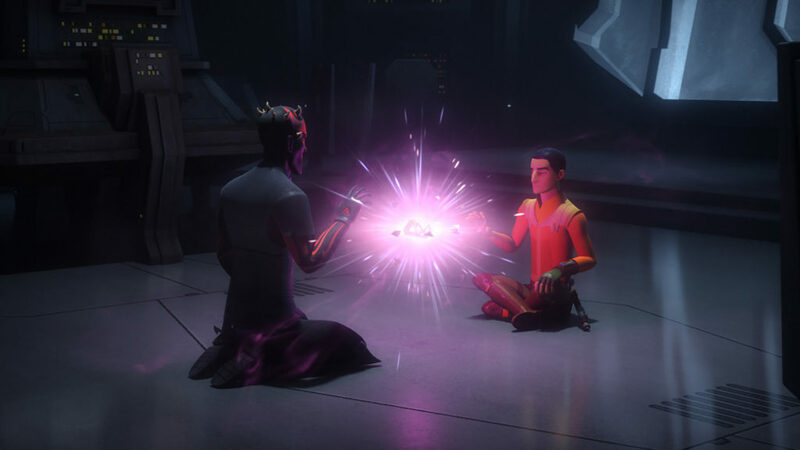 When Bendu learns what they’ve come for, he warns them against combining the holocrons. He explains that the combination “will provide a clarity of vision beyond your kind. 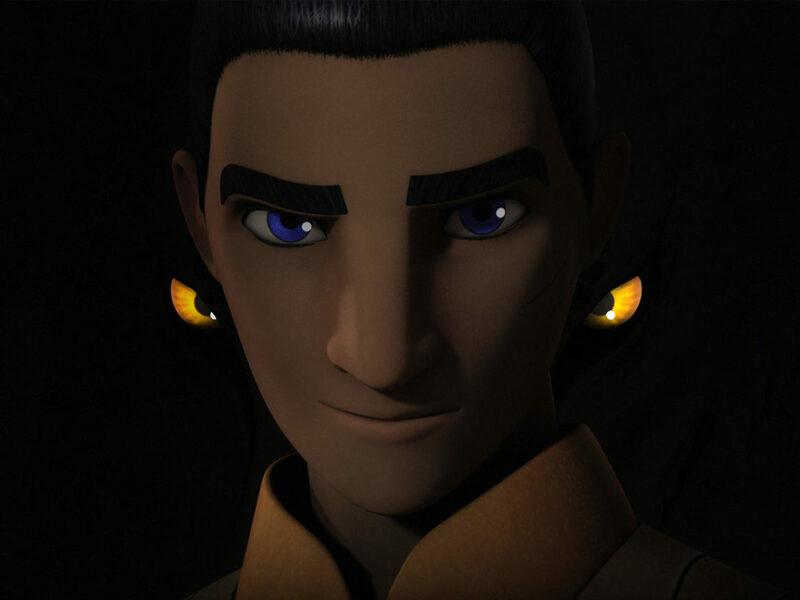 Any secret, wisdom, or destiny can be seen through the Force.” He also says that sort of knowledge could bring chaos and he’s seen it before. Oooh…when? 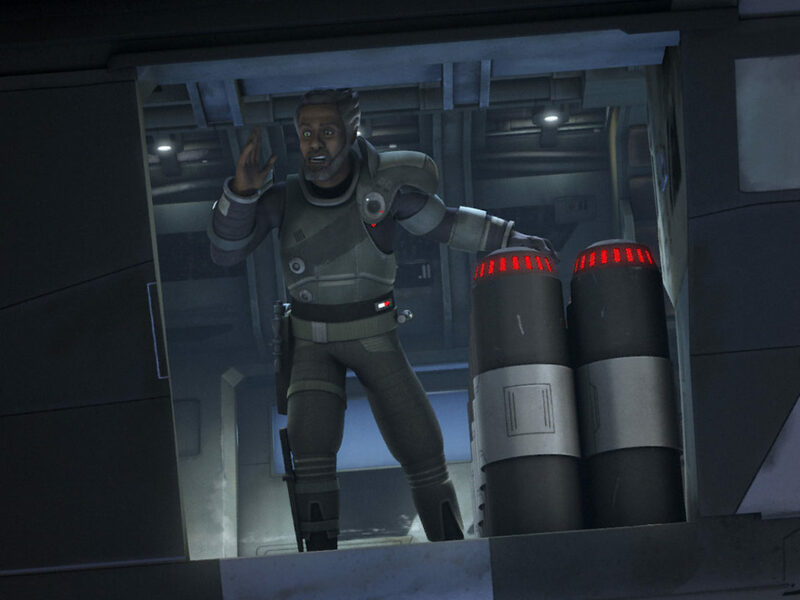 Being captured by Maul is bad enough, but to be held captive on your own ship by a guy who’s done nothing but betray, mock, and try to kill you? Yeah, no. 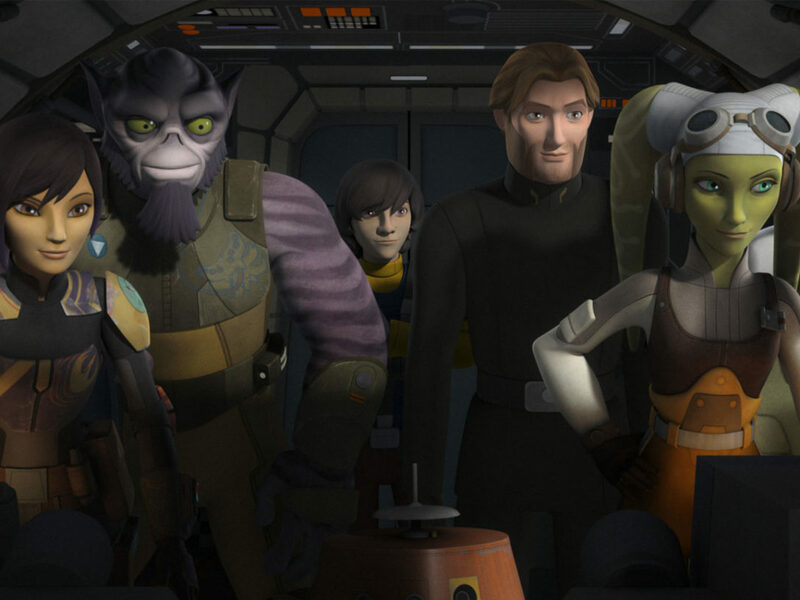 Hera, Zeb, and Sabine do manage to break free and, while it doesn’t last long, it’s a great effort. 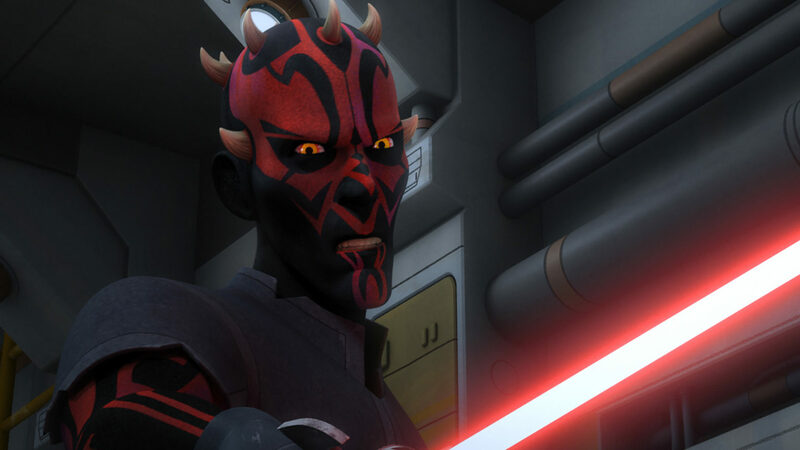 Maul gets reallllly cranky. 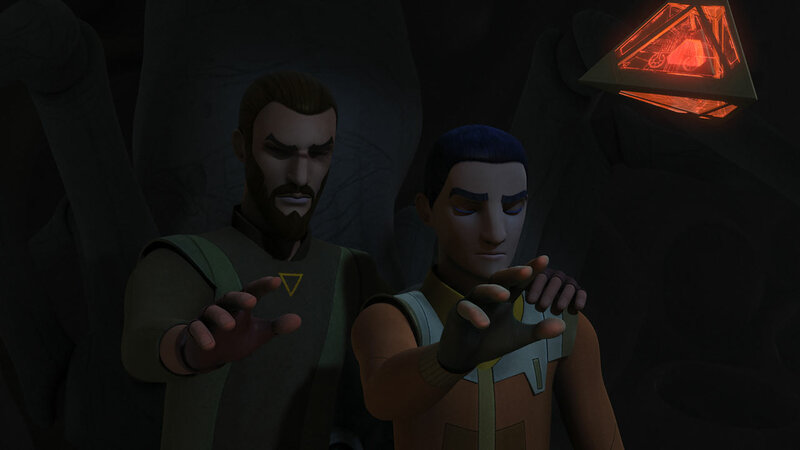 It takes being in a spider-filled cave — with only each other to rely on — when Ezra and Kanan finally have a talk about what happened on Malachor. 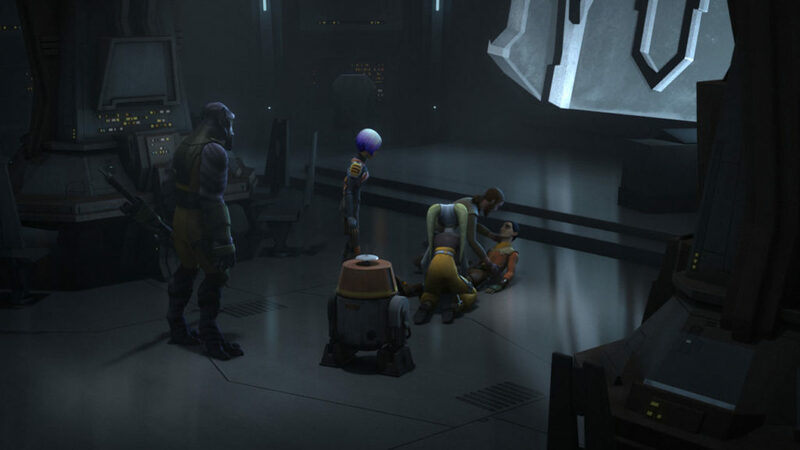 Ezra has so much guilt and apologizes, but Kanan assures him that it wasn’t his fault and that Ezra needs to forgive himself. The resulting hug catches Kanan off guard, but you can tell something has been mended. 7. 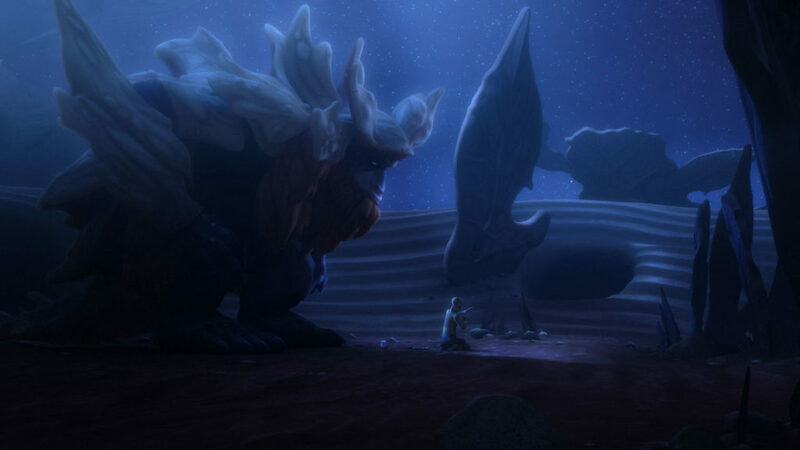 No wonder Bendu says the holocron is safely hidden. 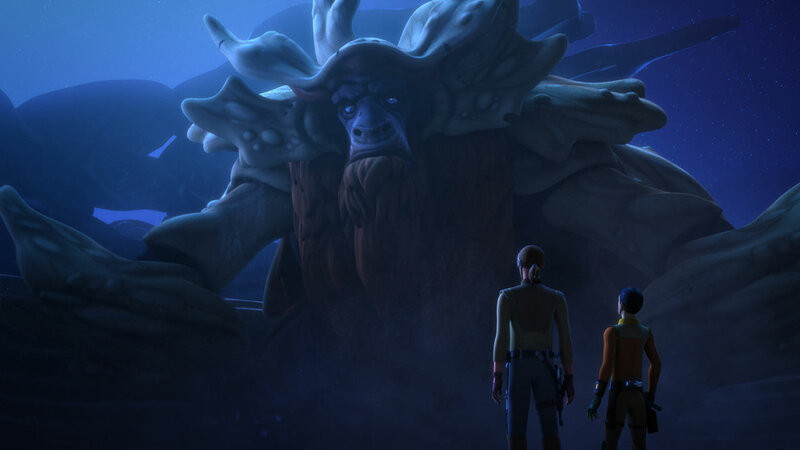 Bendu wasn’t kidding when he said the holocron was safe. I mean, on top of a pile of spiders definitely classifies as safe. Luckily, Kanan’s taken the lessons from Bendu on how to deal with them to heart, and is able to teach Ezra how to focus so they can retrieve the device. 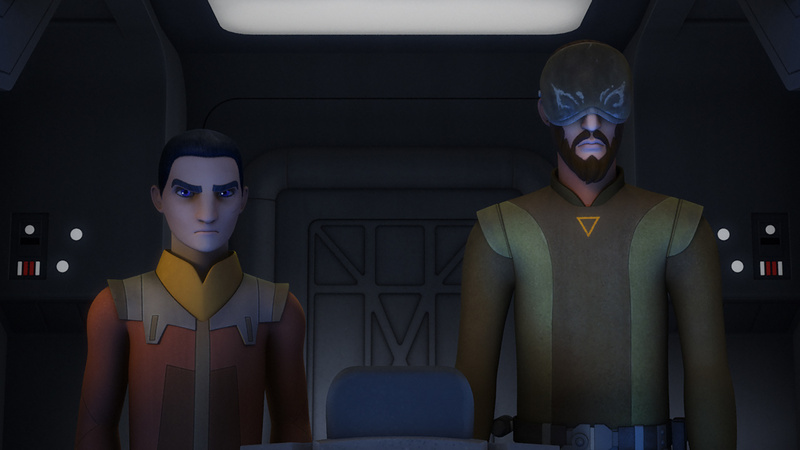 Ezra’s nervous and afraid, but Kanan reminds him that Maul’s greatest power over them is fear that he’ll hurt their friends. 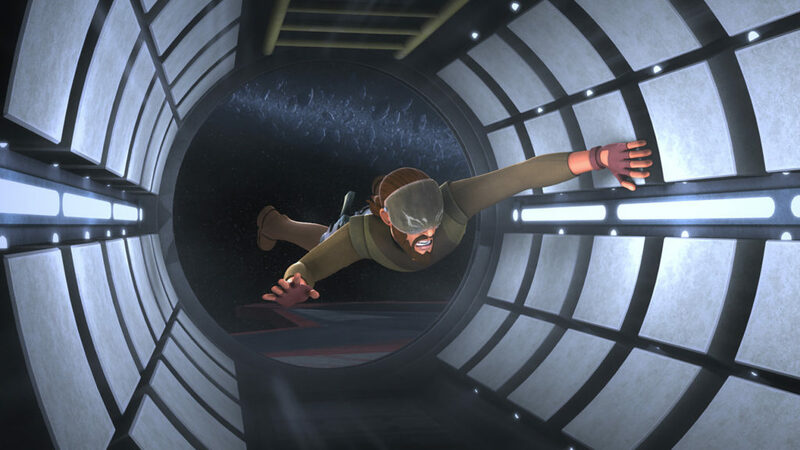 That knowledge may be the thing that keeps Kanan alert and adaptable as Maul ejects Kanan out the airlock. 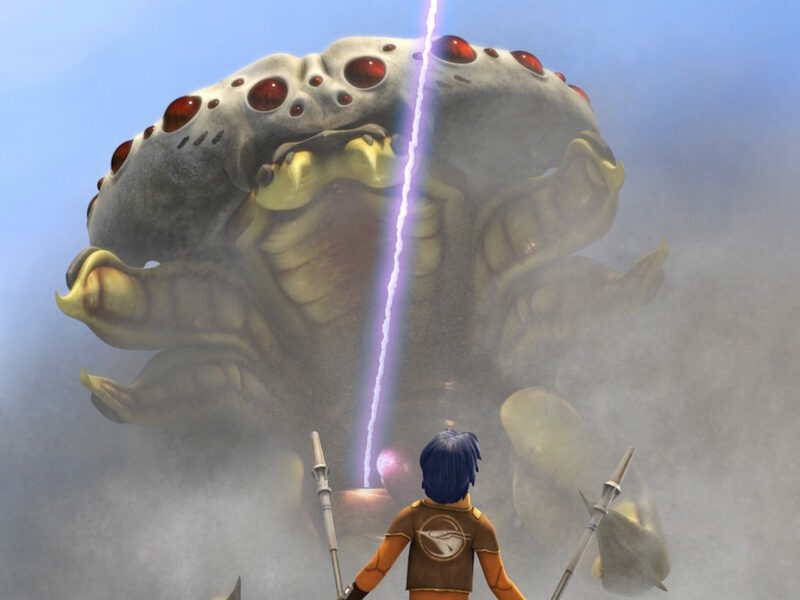 He gets over his shock and fear quickly, using the Force to get back inside and rescue Hera, Sabine, Zeb, and Chopper. 9. 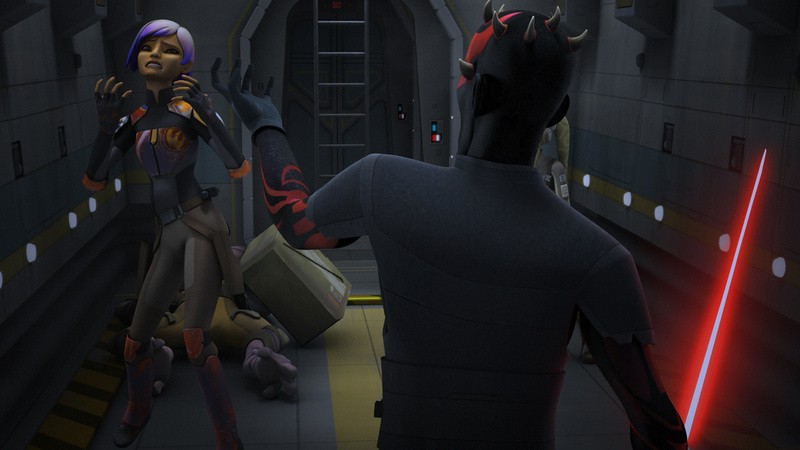 Maul tries to talk down to Ezra and totally whiffs it. 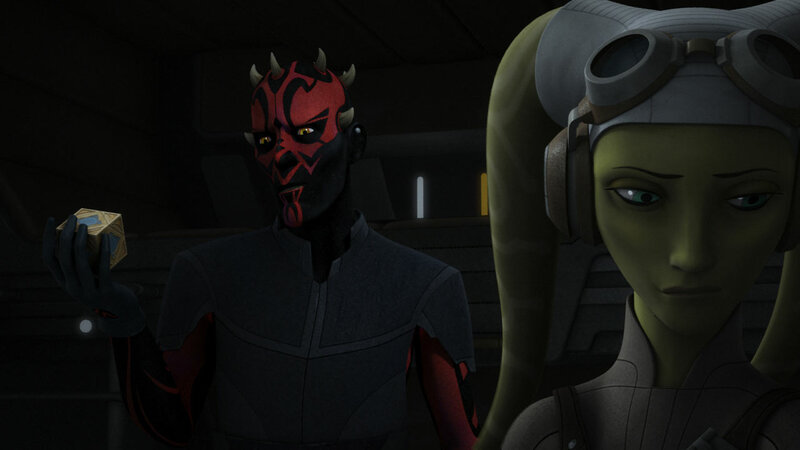 One of Maul’s great pleasures is knowing something others don’t, so it’s delicious when he tries to condescend to Ezra about the power of joined holocrons and Ezra’s like, “I got this.” Now on an equal footing, each reveals what they want to learn; Ezra wants to know how to destroy the Sith, Maul seeks hope. Hope? Interesting.